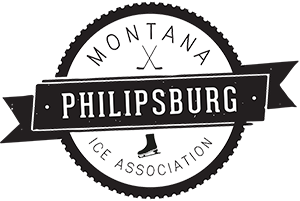 The Philipsburg Ice Association was formed in 2013 by a group of individuals who wanted to bring more to our youth and extended community through winter activities. The Philipsburg Ice Association started our youth hockey program to share the enthusiasm for winters sports. We welcome youth of all ages and skill levels from beginner to advanced. We look forward to having you join our program. Our pick up hockey games bring skaters of all ages and skill levels out for an evening of good times and great skating in a non-competitive environment. Please join us on Fridays and Mondays at 6pm to put your stick on the ice. The Philipsburg Ice Association hosts the Brewer’s Cup the third weekend of January. Games start Friday night with the championship games to be played Sunday morning. For more information please contact us or message us on FB. The deadline to enter is December 31st. The skating rink is open daily for all ages and abilities. Skates and helmets are available at no charge in the warming hut adjacent to the rink. Please look at the schedule to see the times slotted for public skating. Enjoy the rink! The Philipsburg Ice Association was formed in 2013 by a group of individuals who wanted to bring more to our youth and extended community through winter activities. Our group wanted to bring the ability to teach ice sports, ice activities, and sportsmanship to the youth and adults in the area. Collectively we formed a board as a 501( c) (3) nonprofit organization. Since our beginnings we have built a youth hockey program, an annual Pond Hockey Tournament, a fundraiser bringing visitors to town during the winter months, and help host another fundraiser with a different charitable beneficiary each year. We strive to promote, encourage, conduct, and operate such other charitable, educational, civic, and social purposes for the betterment of our community and those who visit. © Copyright Philipsburg Ice Skate Association.